My little girl Peggy, just turned 2, which is crazy, it’s such a cliche saying time flies but something happens once you have kids. I think it is the constant juggling act but also the routine, which sometimes feels like groundhog day. The days seem to end so quickly and then you get to the end of another week, month then it’s Christmas again! 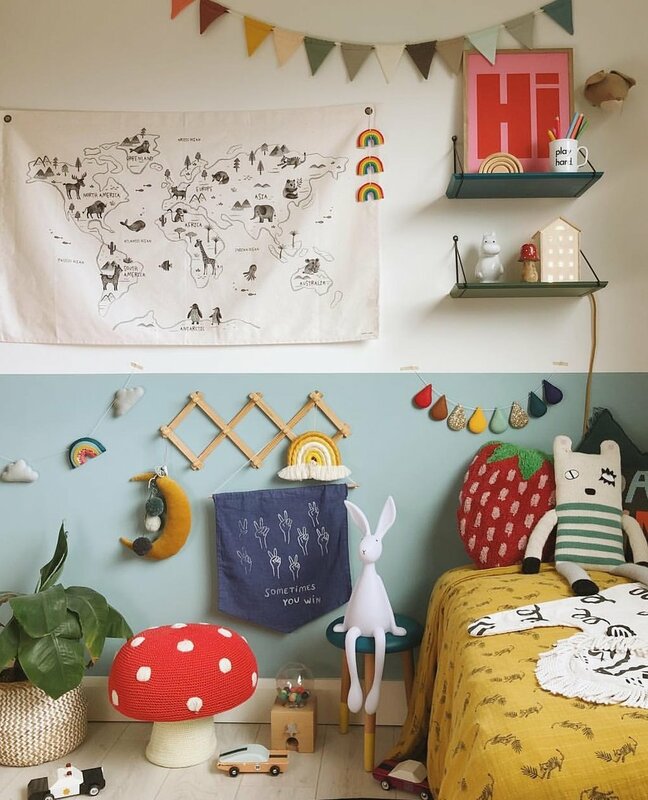 Anyway with Spring in the air I sorted out Peggy’s room, which somehow changed from a nursery to a kids room without me realising. No more nappy changing stations and cute delicate breakable ornaments. It’s now toys, books and more toys, which is great fun but she has a small room and it needs constant reorganising. I have kept any useful baby clothes and toys just in case we have another or just because I love them, anything else has either been given to friends or family with babies or donated to our local charity shop. I try to be mindful of what I buy for her room, I support small independent businesses where I can, I also do a lot of charity shopping as I hate to think of all the waste from always buying new. A lot of the decor in her room I already had elsewhere in the house and it was just when I put it all together that it felt like a kids room. To me it is important to love what you buy and for it to last and evolve through your life. This mindful buying has also helped me with my wooden light business, Bright Corner. I design my lights to grow with a room, beginning in a nursery as a feeding light, then to a kids room as a nightlight and ending in a teenagers room or adult space as a feature light. Creating a timeless and practical light for any space in your home.